Segger, Martin. "Samuel Maclure". The Canadian Encyclopedia, 30 May 2018, Historica Canada. https://www.thecanadianencyclopedia.ca/en/article/samuel-maclure. Accessed 23 April 2019. Noted mainly for his Tudor Revival house designs with their open plans and two-storey central halls, Maclure's buildings use native materials and local construction techniques. 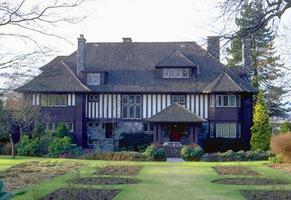 1905, Victoria, demonstrates Samuel Maclure's use of the vernacular shingle style (photo by Martin Segger). 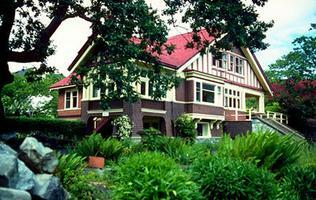 Samuel Maclure, architect, artist (b at Sapperton [New Westminster] BC 11 April 1860; d at Victoria 8 Aug 1929). Son of a British Army Royal Engineer and first white child born in the city of New Westminster, Maclure became the foremost domestic architect in British Columbia from 1890 to 1920 and established a building style that gave Victoria and parts of Vancouver a distinctive Canadian West Coast flavour. Maclure, who studied painting at the Spring Garden Institute, Philadelphia, PA (1884-5), was a self-taught architect. In 1889 he opened a practice in New Westminster, first in association with Charles H. Clow and then with Richard P. Sharp. In 1892 Maclure moved to Victoria. In 1905 he established a branch practice in Vancouver in partnership with Cecil Croker Fox, who had trained in London, England, with C.F.A. Voysey. The Vancouver office closed in 1916 when Fox died on the French front in WORLD WAR I. In 1920 the office reopened under Maclure' s former apprentice, Ross A. Lort, who continued the practice after Maclure's death. Noted mainly for his Tudor Revival house designs with their open plans and two-storey central halls, Maclure's buildings use native materials and local construction techniques. He pioneered a local variant of the shingle style, worked in traditional board-and-batten, and after 1912 turned increasingly to Edwardian classicism. The use of unbarked log-slab construction combined with fieldstone masonry was a feature of much of his work. His meticulous construction supervision and finely detailed plans and drawings caused contractors to add a surcharge to their estimates. His clientele, however, appreciated this attention to detail. He was noted for his ability to exploit the topography of the site: windows, porches and verandahs were oriented to capture the dramatic Pacific coast views. Clients were often impressed by the delicate watercolour presentation sketches that accompanied the sets of plans. Indeed throughout his life Maclure produced and sold distinctive impressionistic watercolour paintings featuring the landscape of Vancouver Island. His commissions for the social and political elite of the province were published in leading national and international journals such as Canadian Architect and Builder, Canadian Homes and Gardens, Country Life, The Studio and Craftsman. During Maclure's career, his offices were responsible for over 450 commissions including: Government House (1900-3; destroyed 1957), Victoria in collaboration with Francis Mawson RATTENBURY; Hatley Park (1907), Colwood, a "castle" and estate for industrialist and politician James DUNSMUIR; manager's residences for the BANK OF MONTREAL in various British Columbia towns and numerous houses in Shaughnessy Heights, an exclusive suburb of Vancouver, financed by the CANADIAN PACIFIC RAILWAY. Maclure was also well known for his garden and landscape designs that skilfully combined native flora with the plant materials and the natural design aesthetic of the English Arts and Crafts Movement. 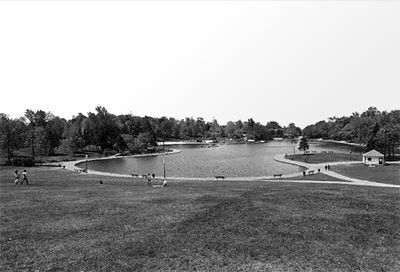 He was for many years consultant to the extensive public garden development of Mrs. Butchart, near Victoria. Maclure's influence on BC building design was so pervasive that into the 1940s government buildings and schools throughout the province emulated his early half-timbered commissions in Victoria's prestigious Rockland area. 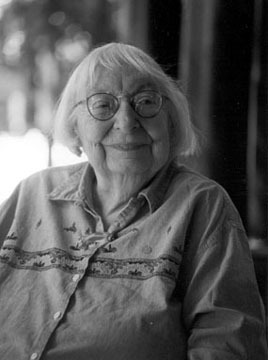 His early works in particular, a very personal interpretation of the shingle style and half-timber façade treatment, influenced a generation of British Columbia architects throughout the province. Martin Segger and D. Franklin, The Buildings of Samuel Maclure: In Search of Appropriate Form (1986); J. Bingham, Samuel Maclure, Architect (1985); L.K. Eaton, The Architecture of Samuel Maclure (1971).